The Federal Reserve it can be argued has done a great job of propping up the economy during the Great Recession with its easy money policies led by Quantitative Easing 1, 2 and 3. However, the growth in the stock market and the low interest rate on our ballooning debt is artificial as a result of the Fed's policies. Dialing back of their latest bond-buying program, is the finesse move confronting the Fed for the next five years. If the Fed moves too fast, it could cool the recovery. If it moves too slowly, it could fuel asset bubbles or excessive inflation. With the stock market booming since the election of Donald Trump, these fears are heightened. Economy Is Strong. Leadership Is Shaky. Which Will Win Out in 2019? Federal Reserve officials, after navigating the U.S. economy through the financial crisis and its rebound, face a fresh test in 2019: engineering an economic soft landing. The central bank’s challenge is to manage a moderation in growth that keeps inflation contained but avoids a recession. It was a main topic at an annual economic conference in Atlanta this weekend that featured top current and former Fed officials. Investors will look this week to talks by Fed Chairman Jerome Powell and Vice Chairman Richard Clarida for new clues on the officials’ thinking, as well as Wednesday’s release of minutes from the Fed’s December meeting. The Fed’s job has become more difficult as the partial federal government shutdown continues. Many economic data releases it uses to get a read on the economy, including a scheduled report this week on durable goods orders, are being delayed because of the closure. The economy has seldom looked stronger, exemplified by gangbuster job growth in December reported by the Labor Department on Friday. But stock prices and bond yields, which have fallen sharply since October, are signaling a rising risk of recession as growth in foreign economies, especially China’s, has slowed sharply. 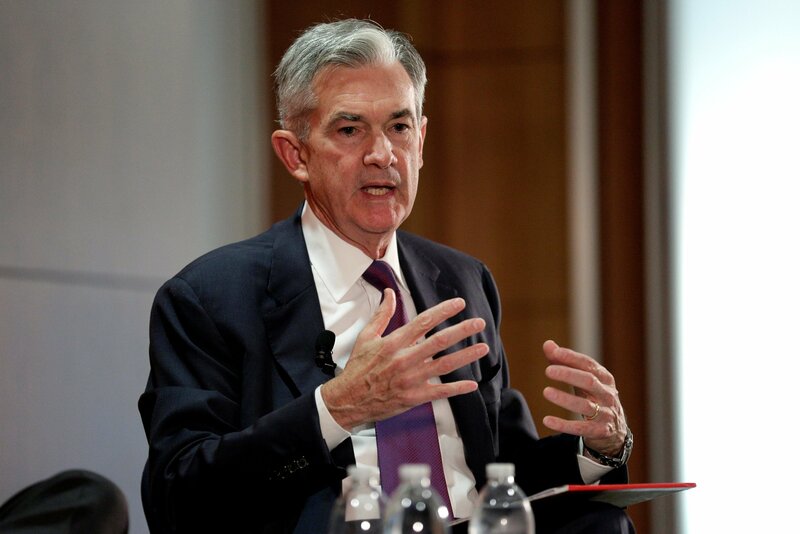 The disconnect presents the Federal Reserve with a tricky choice: focus more on the domestic economy and keep nudging interest rates higher to combat inflationary concerns, or pay greater attention to stresses abroad and in the markets, and hold rates steady or even nudge them lower. Why all the money in the U.S. is not all the money in the U.S. The Founding of the Fed - Why it matters now. Was the Fed's hold on interest rates politically motivated?